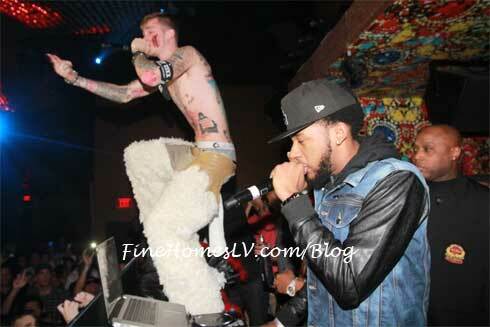 The notorious rapper showed his “Wild Boy” side as he performed, partied and interacted with guests. 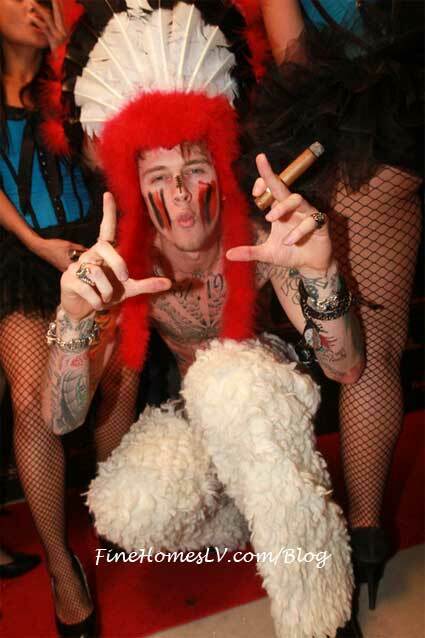 MGK showed off tattoos and Halloween spirit in his red and black Native American inspired outfit complete with chaps, a feathered headdress and festive red and black face paint. The artist gave the cheering audience a true Las Vegas show by showering them with champagne and playing legendary drinking games. 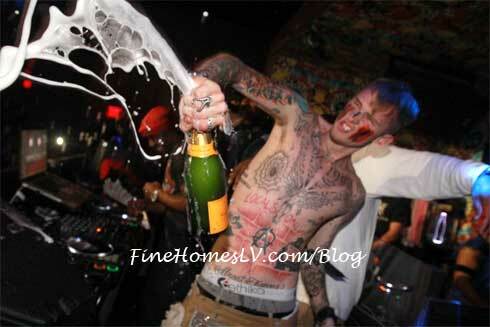 To finish off his performance, MGK leaped over the stage’s glass barricade into the pit showing off his stylings directly in front of fans, making it a night to remember.